While Christopher Hitchens never made many comments about Donald Trump directly, here are some thoughts from some people on what he might have thought about Trump, and him becoming president. Hitchens would have hated the way that Donald Trump has played the role of President, but he would have also blamed Hillary Clinton for Trump's rise to power. Hitchens would have hated the way that Hillary Clinton allowed for the rise of Donald Trump to power. He would have thought that she allowed the right to take her email scandal as a way to make the government look corrupt, and he would still be railing against this to this very day. He would not just blame Trump for being disingenuous about this. He would have blamed her for not being more upset about the whole thing. Hitchens would have been disappointed in the right for allowing Trump to co-opt their integrity to get elected. He would be disappointed in the people who would allow Trump to do horrible things without calling him to account, and he would wonder where these people could have any moral high ground at all. This is the sort of thing that would have rankled him the most because he knew that most other presidents had some sort of moral high ground to stand on. Hitchens would have been very disappointed in the idea of fake news and subjective facts. He would have wondered how the word fake news could have become a household word in a country that claims to be so wise and educated. Hitchens wanted people to be discerning about what they were voting for, and he would have been disappointed in the people who simply excused Trump's lies even though they could read the fact checking on their own. "..where did anyone get the brainless opinion that the super-rich are too wealthy to steal...from Ford to Hughes to Iacocca and Trump and the other tycoon redeemers, we have an exact demonstration that nobody is more covetous and greedy..."
He would have wanted to see more people voting than ever because he would want them to make educated decisions about who governs their country. However, he would wonder if these people could convince their conservative friends to be thoughtful about what they are doing. 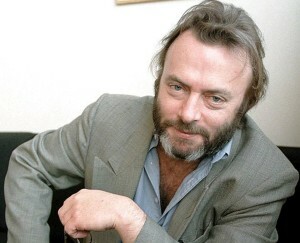 Hitchens would have asked for more debate, and he would have been saddened by the fact that people do not debate anymore. They simply end friendships because they do not like each other's political positions, and he would have had many more debates than ever before.